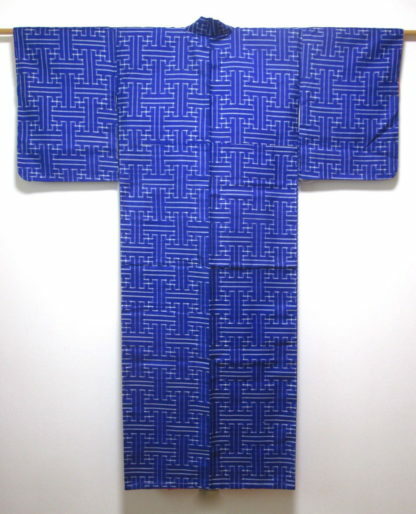 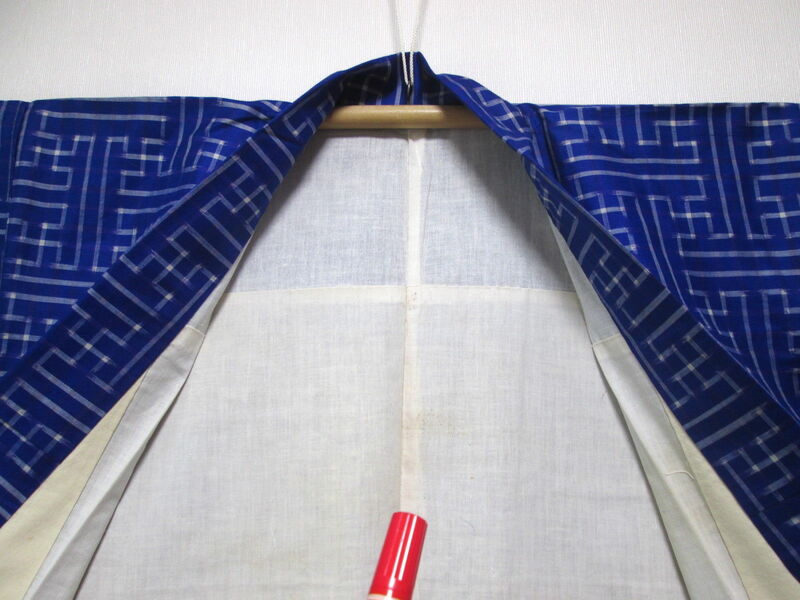 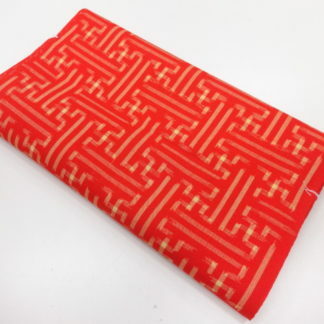 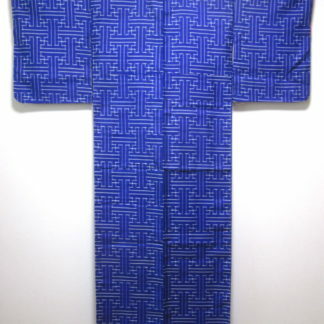 Lovely antique meisen silk kimono with a woven pattern of sayagata. 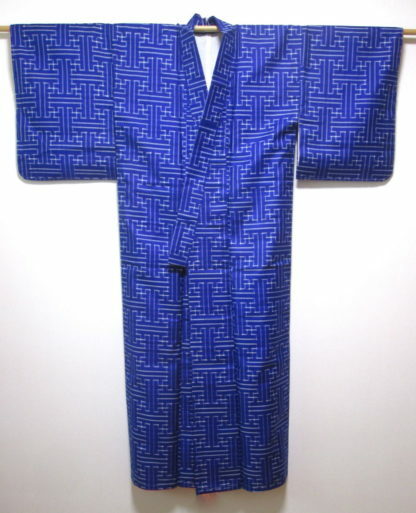 This beautiful kimono is in unused very good to excellent condition. 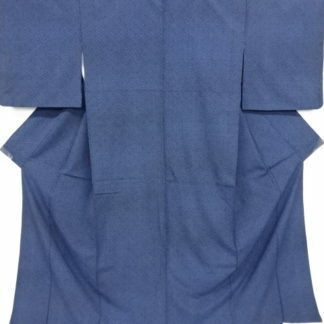 There is one very faint stain on the lining (see photo pointing this out), which does not affect the outside or wearing. 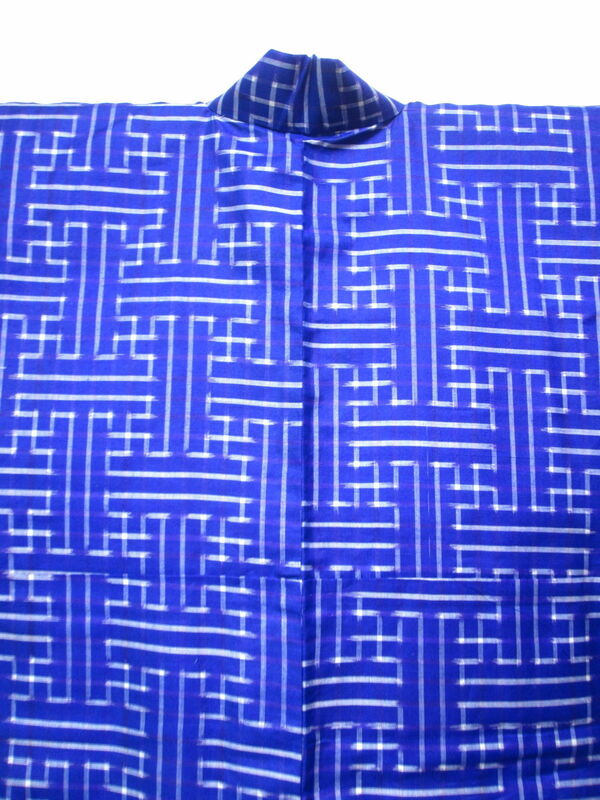 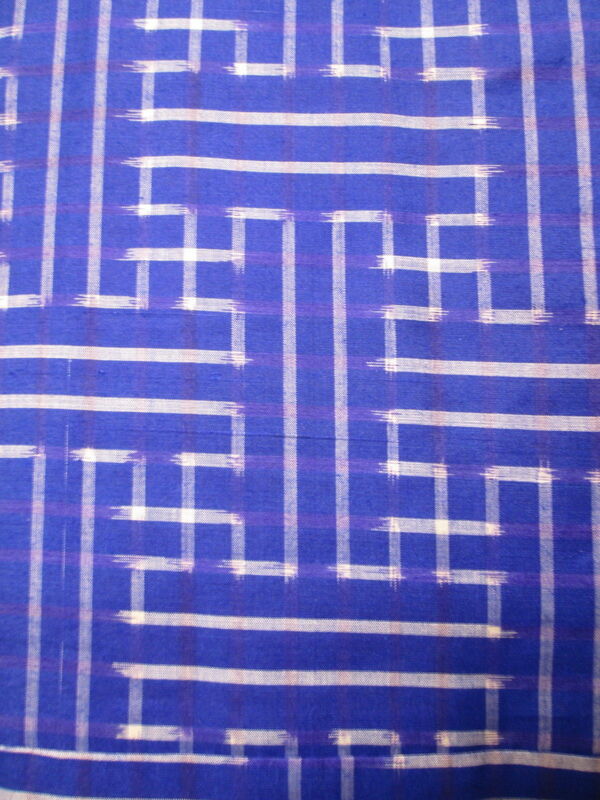 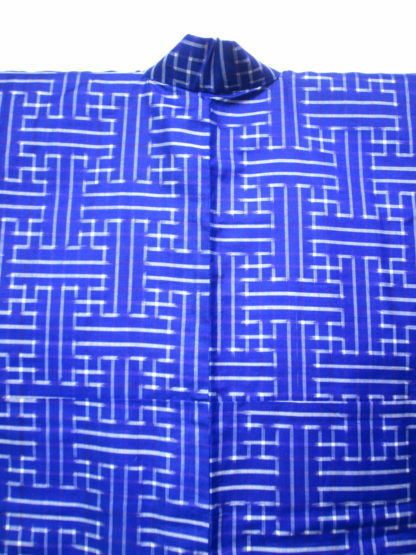 • Meisen: Meisen silk, generally crisp and supple, is one of the Japanese silks fabricated by weaving pre-dyed threads, utilizing the tie-and-resist ikat technique (ikat is an Indonesian term widely utilized to refer to this technique). In this process, the threads, silk or cotton, are first stretched on a frame. 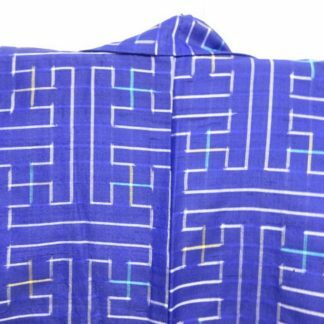 Selected design areas are tightly bound to prevent the dye from penetrating and the hanks of threads are immersed in the dye pots. 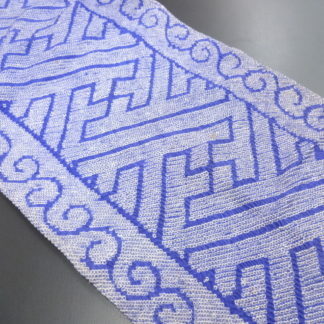 The bound portions of the yarns resist the dye and when woven, and as a result of the threads not being perfectly aligned, create shapes with charmingly uneven edges. 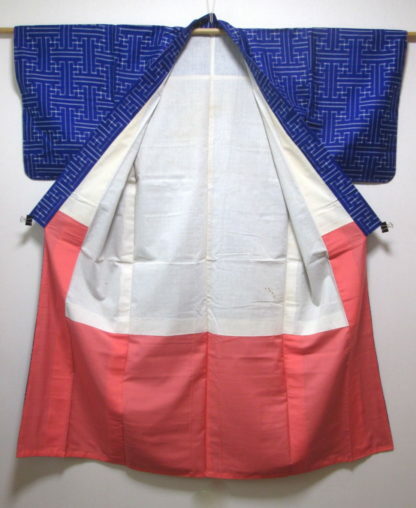 Meisen silk was a popular fabric for casual kimono from 1910 to 1950, in part because it was more affordable, and in part because the designs, frequently drawing on Western influences, seemed adventurous and innovative. Even today they retain a contemporary sensibility.